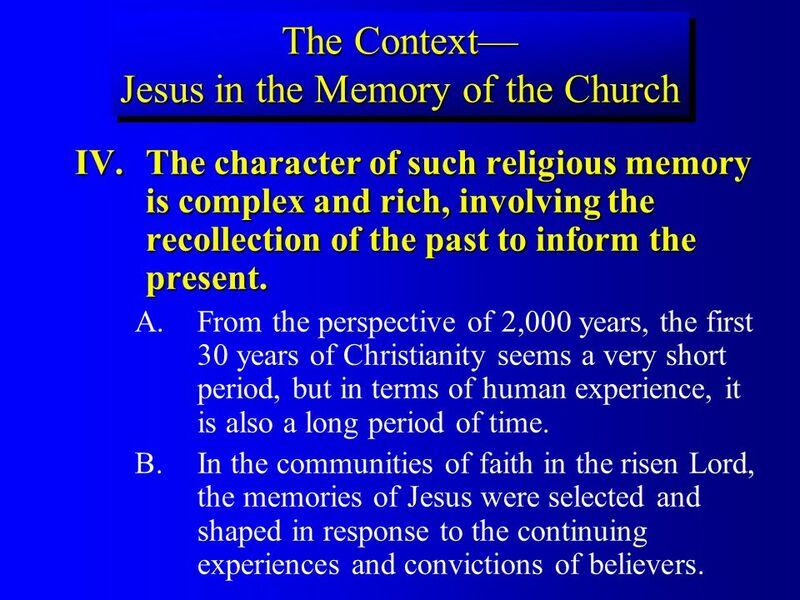 The Context Jesus in the Memory of the Church I.The earliest Gospels are compositions that arise out of the life of early Christian communities and bear. 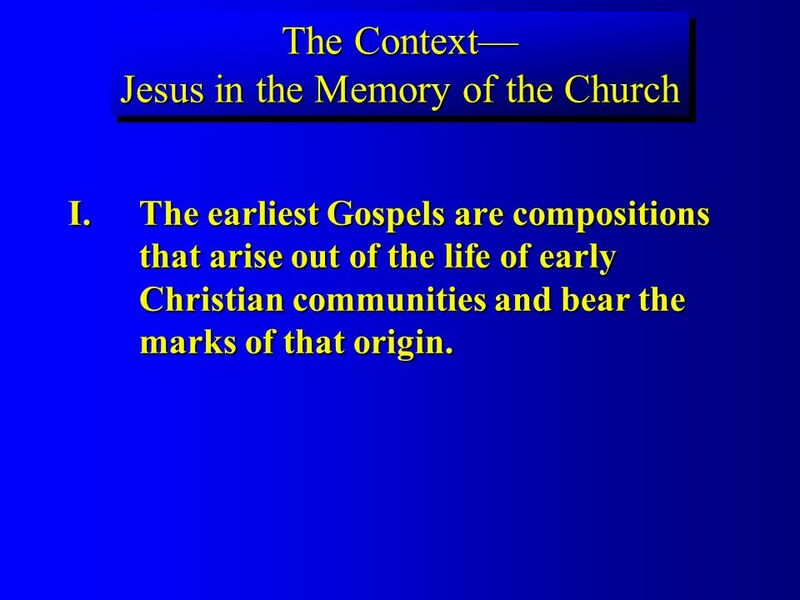 1 The Context Jesus in the Memory of the Church I.The earliest Gospels are compositions that arise out of the life of early Christian communities and bear the marks of that origin. 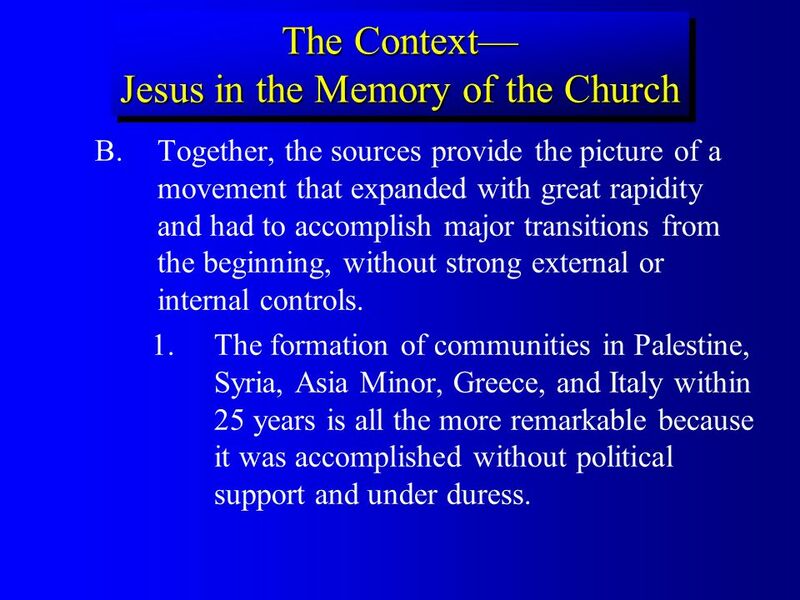 Download ppt "The Context Jesus in the Memory of the Church I.The earliest Gospels are compositions that arise out of the life of early Christian communities and bear." Chapter 8: The New Testament The story of the greatest sacrifice in the history of the world. Paul © Karen Devine Saul Saul was born in Tarsus circa 10 CE. It was a centre of thriving culture, philosophy and education. Saul was born in Tarsus. 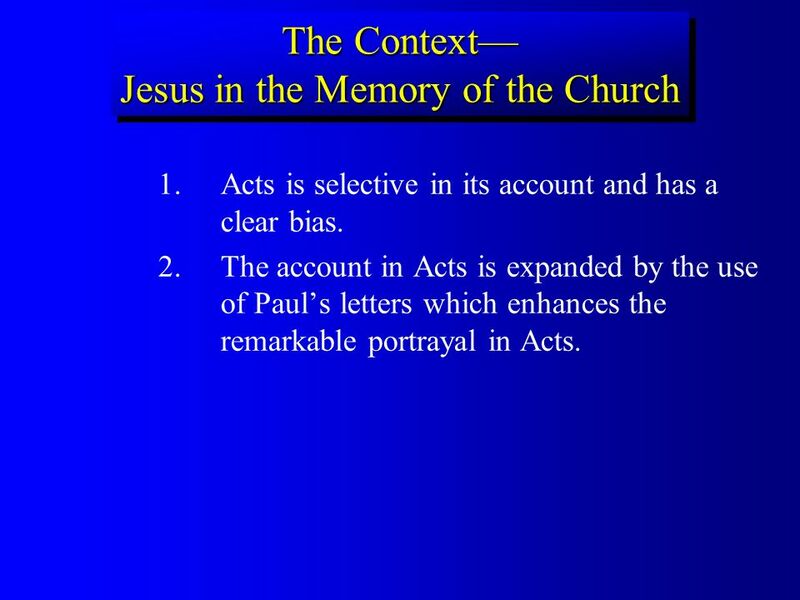 Name ____________________________ Theology 10 Sacred Scripture Mr. Phillips Unit Five: New Testament Letters. Bible Study for Pr-Servants April 2, 2011 A Witness to the World. Why Be Baptized? I. To Obey the Lord’s Commands (I John 5:3; John 15:14, 10). 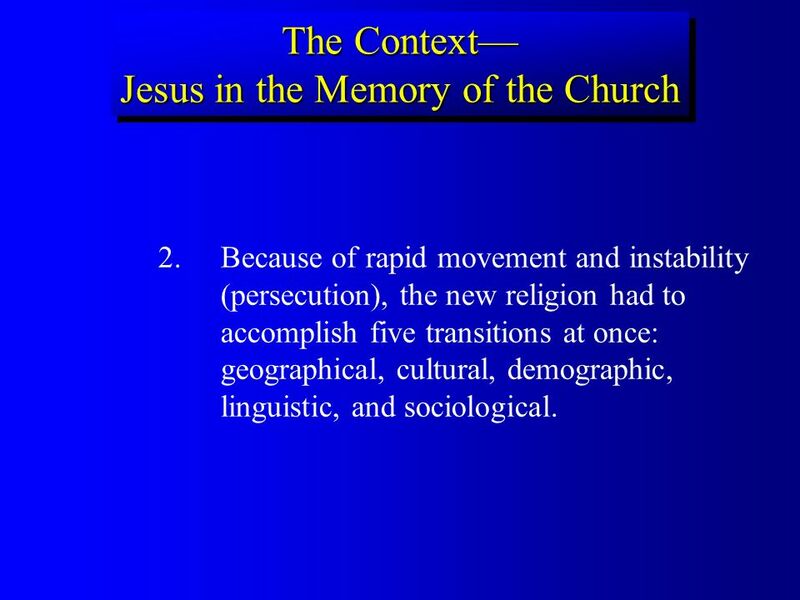 A. Jesus Commanded Baptism (Matthew 28:16-20). B. 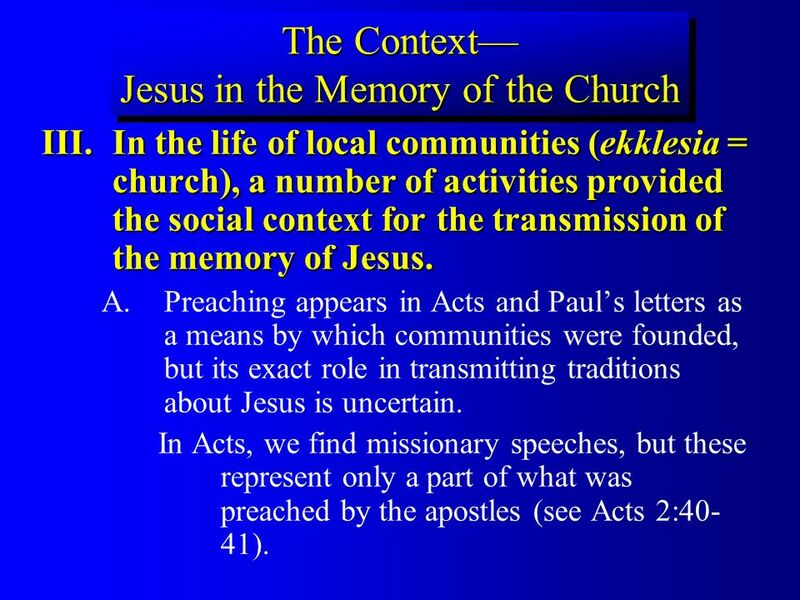 The Apostles Commanded. Scripture. Author  Traditionally identified as Matthew/Levi, apostle and former tax collector. Matt 9:9; 10:3 Mark 2:14  He is a Jewish-Christian on. 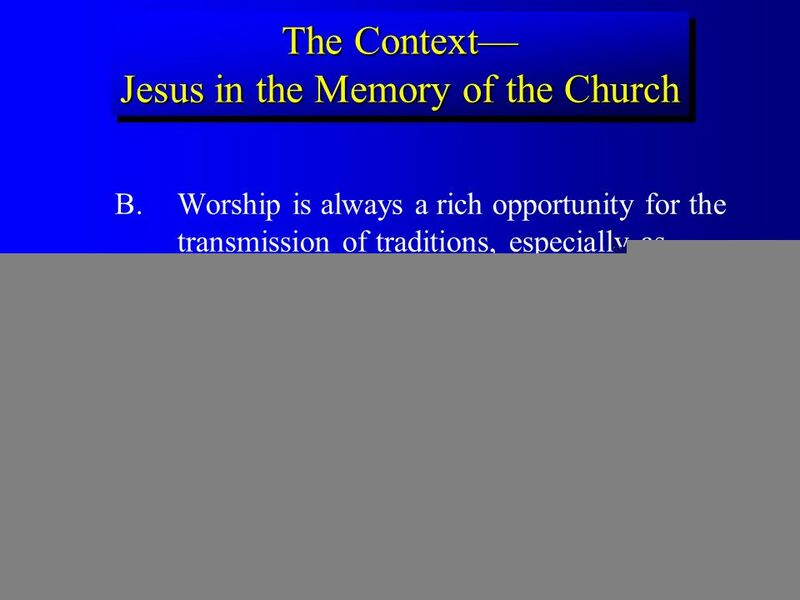 CHURCH HISTORY: Lesson Three “upon this rock”. 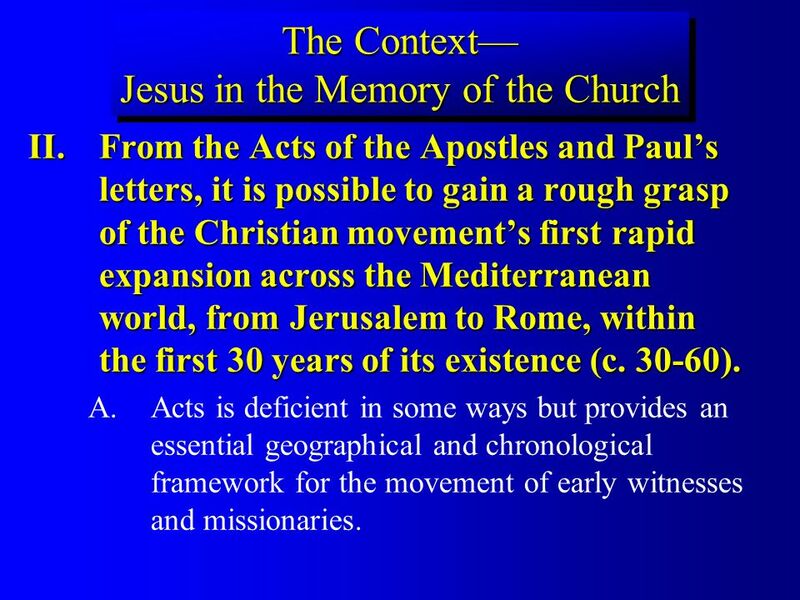 THE MAJOR DIVISION OF THE HISTORY OF THE CHURCH Apostolic ChurchPost – Apostolic Church Approx 30 AD Approx. 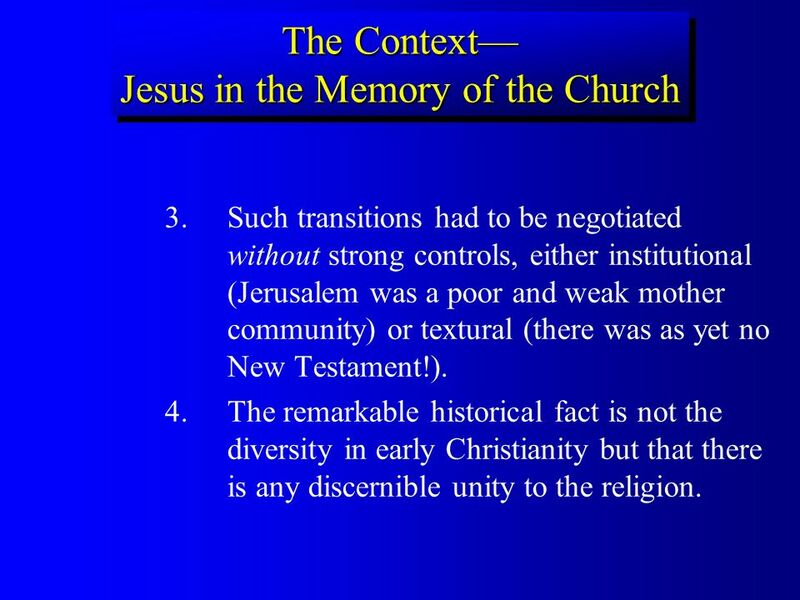 Unit 10: The Context of the Gospels. 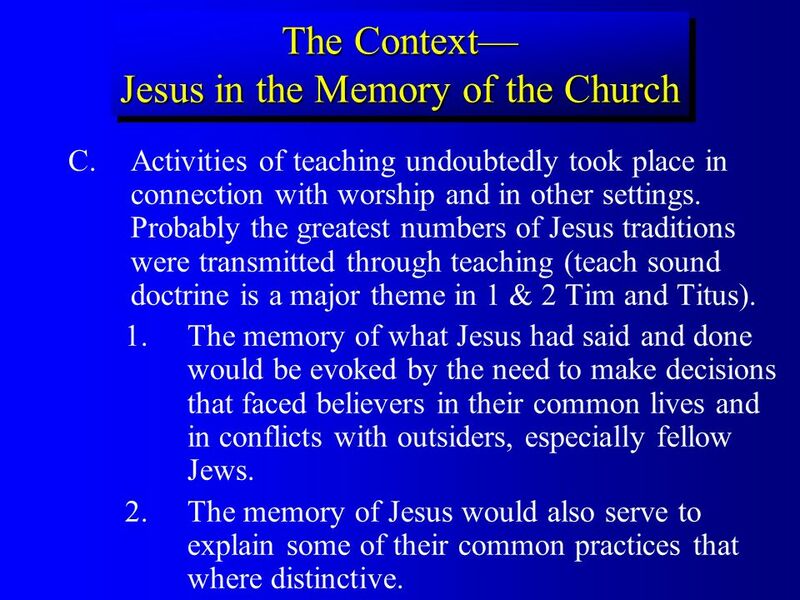 Section 7: The Gospel According to Mark. 1 Corinthians quiz review Corinth is a major city in what country? 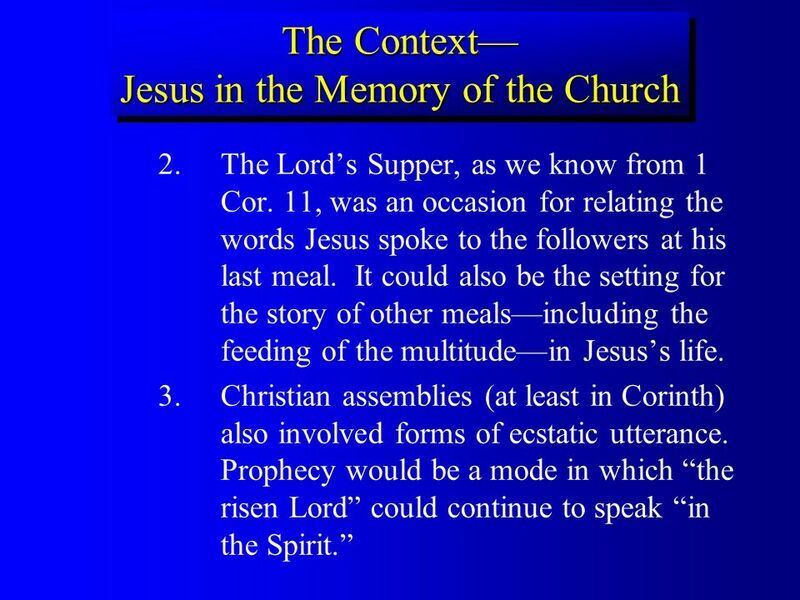 BibleNT 1 The Christian Bible, Part II The New Testament Dr. Craig Ho. “But you shall receive power when the Holy Spirit has come upon you; and you shall be witnesses to Me in Jerusalem, and in all Judea and Samaria, and to.